(Daytona Beach, Fla) 27 January 2017— When the green flag flies on the Rolex 24 At Daytona (2:00 PM ET FOX), all eyes will be on the 55 IMSA WeatherTech machines that will go hurling into turn one on the first of hundreds of laps around the 3.56-mile road course at Daytona International Speedway. 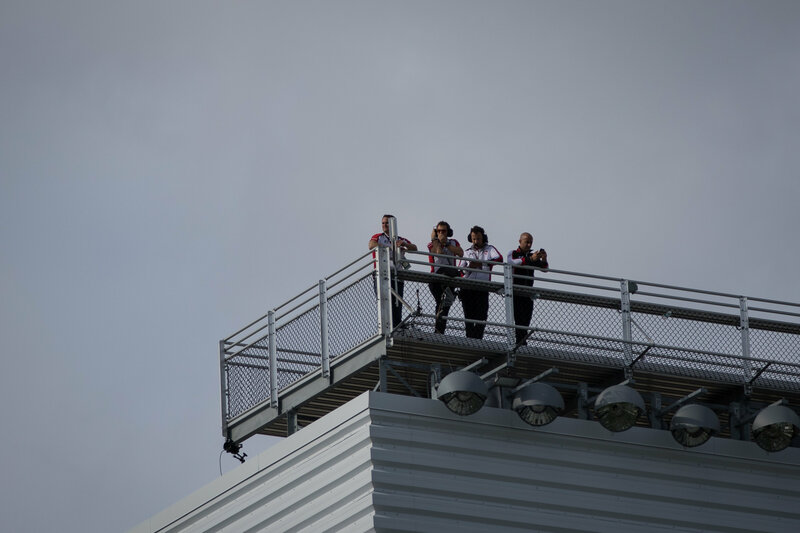 But some of those eyes will be looking through binoculars, as the twice around the clock classic endurance race has seen an influx of spotters who provide the drivers an eye in the sky point of view to get through the traffic safely—and quickly. 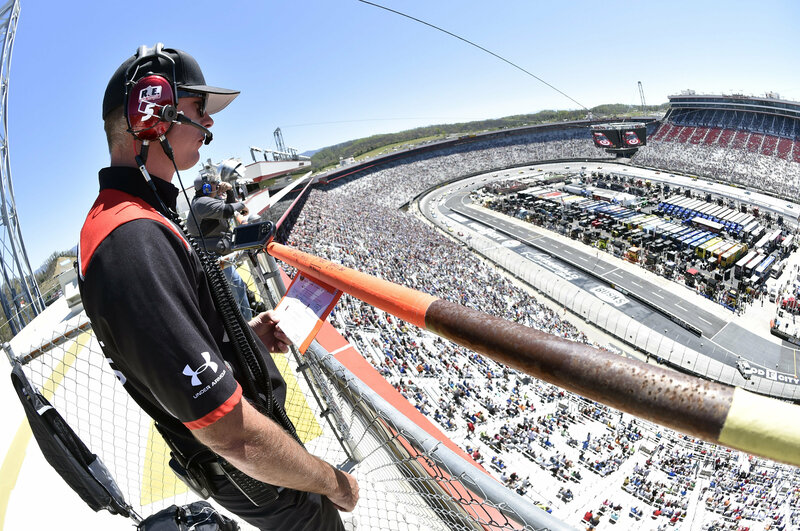 For Change Racing, the sports car arm of NASCAR squad RAB Racing, their spotters have a lot of experience at Daytona, but in a completely different kind of race. Change Racing spotters Kevin Hamlin and TJ Majors have day jobs spotting for Kasey Kahne (Hamlin) and Dale Earnhardt, Jr. (Majors) in the NASCAR Monster Energy Cup Series, but made their first ever outings in the Rolex 24 last year as Change Racing debuted the Lamborghini Huracàn GT3. Having had a bird’s-eye view for the Super Bowl-sized crowd at the Daytona 500, Hamlin was impressed by both the size and intensity of the Rolex 24 At Daytona crowd. 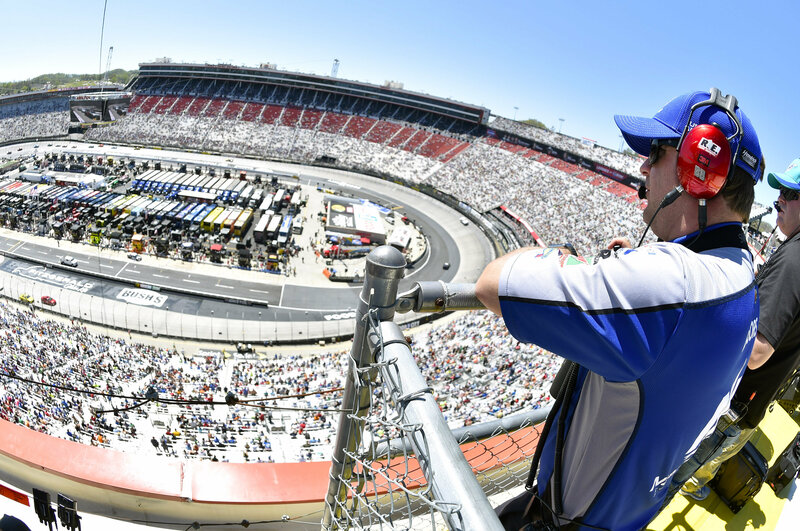 While the NASCAR spotter to-do list includes “…door, bumper, clear!” as well as working on alliances with other spotters and drivers, there are a few extra duties for spotters at the 24, not to mention added hours. Using his background as a racer, Hamlin also focuses on how to keep the driver making forward progress while also avoiding trouble. Besides having to time bathroom breaks with the caution periods, the 24 comes with its own special challenges for the guys up top. Hamlin, who raced for Robby (Benton) at RAB Racing in Xfinity competition, has a much higher level of comfort with the IMSA regulations as he prepares for his second 24. Besides keeping himself wide awake when he needs to be, what is Hamlin hoping for next weekend?